Seated figure, pellets(worn out), parasu, grantha 'ra' above. 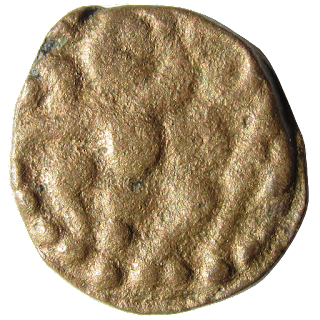 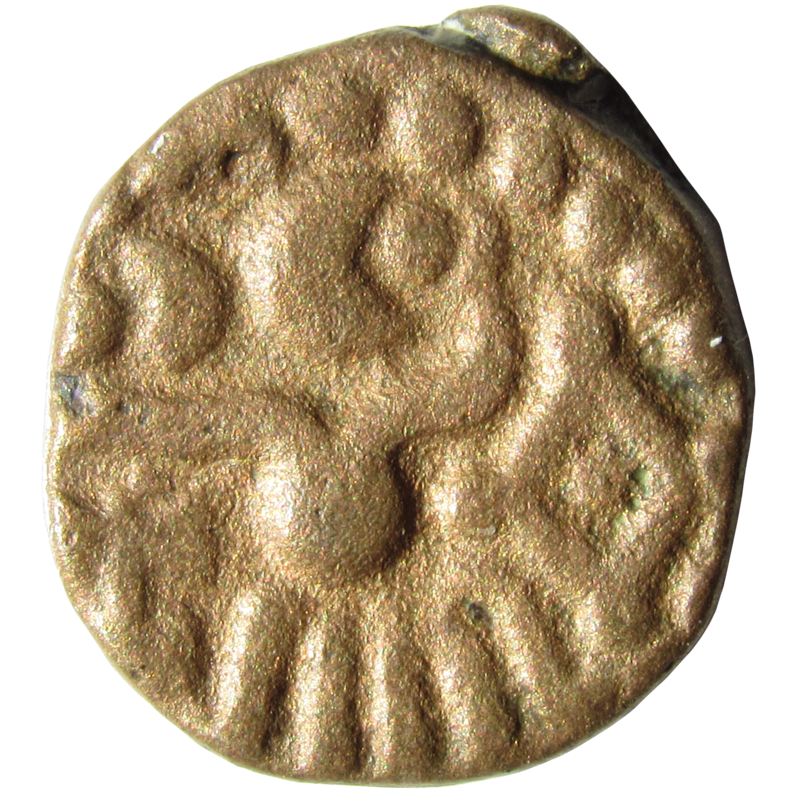 Beena Sarasan attributes parasu coins around the 14th century and subsequent periods upto 16th or 17th century. In which the earlier coins bears grantha letter 'ra' of pa-ra-su.